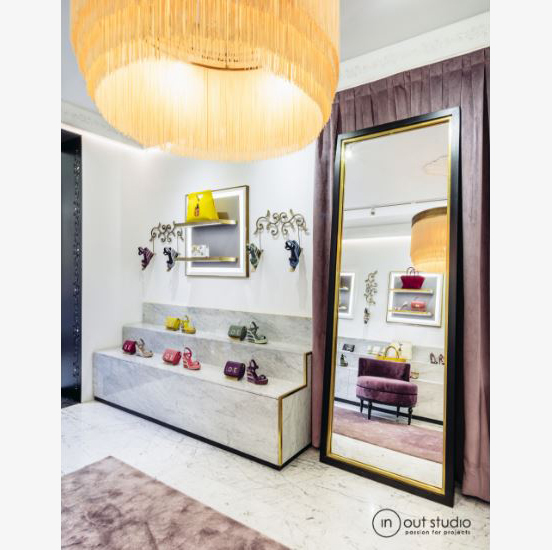 Under the orders of In Out Studio, we manufactured this stunning pendant lamp for a luxury boutique in Madrid. 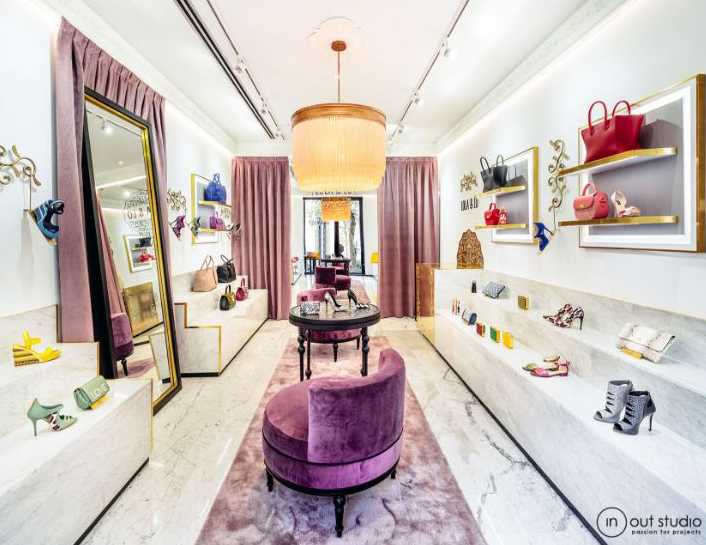 Lola & Lo opened its first footwear and accessories store in Spain, Madrid, in the Salamanca district. In Out Studio designed for them an exclusive sophisticated space where marble and brass are the main protagonists. In the centre of the room, between two curved velvet and beech wood armchairs and over a handmade table, a lamp by Dajor hangs. 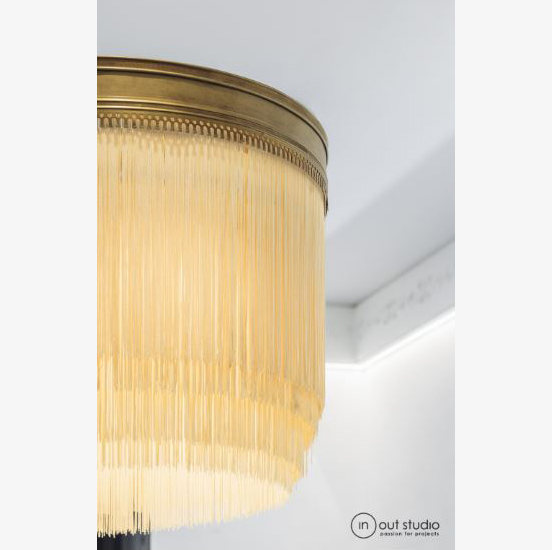 This retro style light fitting produces a soft warm light and consists of a metal ring, from which hang four circles of fringes that end in different heights.